If you’re like me and grew up in the Charlotte area, there’s nothing quite like the anticipation of spending a springtime Saturday at Carowinds Amusement Park. As my friends and I drove south on Interstate 77 in the darkness of 5 am, I was more excited about this trip than any previous wave-pooling, roller-coasting, funnel-caking excursion. This trip was a mission. 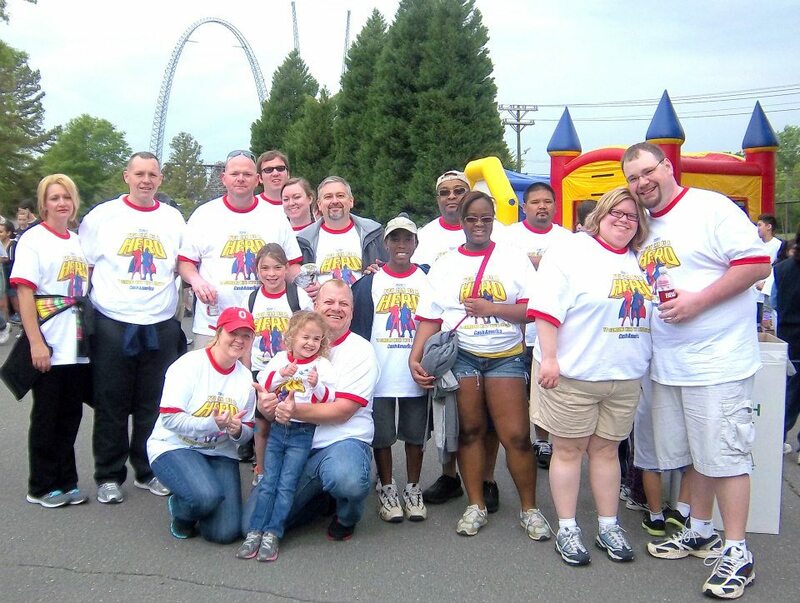 On this Saturday in late April, Carowinds was hosting the 2013 Walk to Cure Diabetes sponsored by the Juvenile Diabetes Research Foundation. 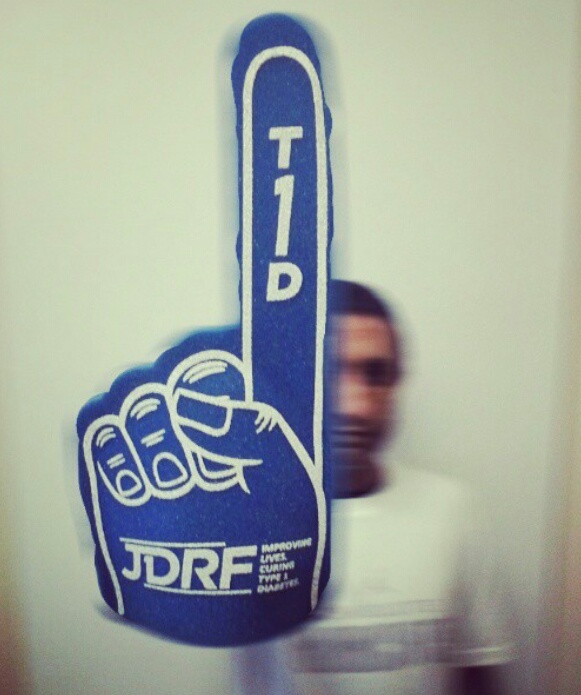 The JDRF is the world’s largest fundraiser for type one diabetes research. Type 1 diabetes (T1D) is an autoimmune disease where a person’s pancreas stops making insulin, a hormone needed to get energy from food. It strikes both children and adults randomly and changes their lives forever, resulting in insulin dependency via injection or pump. The annual Walk draws teams of families and friends of diagnosed Type 1 diabetics walking with the goal of raising money for important diabetic research. This year’s Walk at Carowinds drew nearly 6,000 participants walking for the disease that affects 30,000 new cases every year. The Walk to Cure Diabetes is always a special day for me since I was asked to serve on the Walk Committee, handling the entertainment and media duties. That seemed like a natural fit for me considering my background and it was a great way for me to give back and show my appreciation. 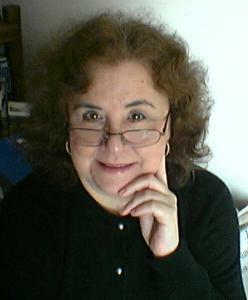 You see, in May of 2010, I was one of those 30,000 and was diagnosed with Type 1 diabetes at age 35. It has been a long road to get myself to the point where I understood, comprehended, and accepted my condition. The work of the JDRF and the help of the Charlotte/Greater Western Carolina’s has helped me learn about T1D and introduced me to a community of friends that help us all understand diabetes and collectively channel our fundraising efforts. They have welcomed me with open arms and allowed me to be very involved with their many community-based fundraisers. And to see this massive undertaking, completely directed at my medical condition, and to be involved in the process, is both overwhelming and humbling. But there is plenty to do as we await the arrival of the day’s participants. The large stage has been built with an impressive sound system to reach the masses and we have local radio personality “Tanner” from ‘Tanner in the Morning’ who will be our master of ceremonies. I have tapped Vyzion Radio’s DJ Jojo Stubbs, who’s two year-old granddaughter was recently diagnosed with T1D, to serve as the morning’s musical entertainment, he’ll be playing the standard sports themed jams that will get everybody pumped and in walking mode. Another highlight of the Walk were the warmup exercises performed with local trainer Julie Sawyer of Tuff Girl Bootcamps assisted by the Charlotte Bobcats Ladycats dance team. 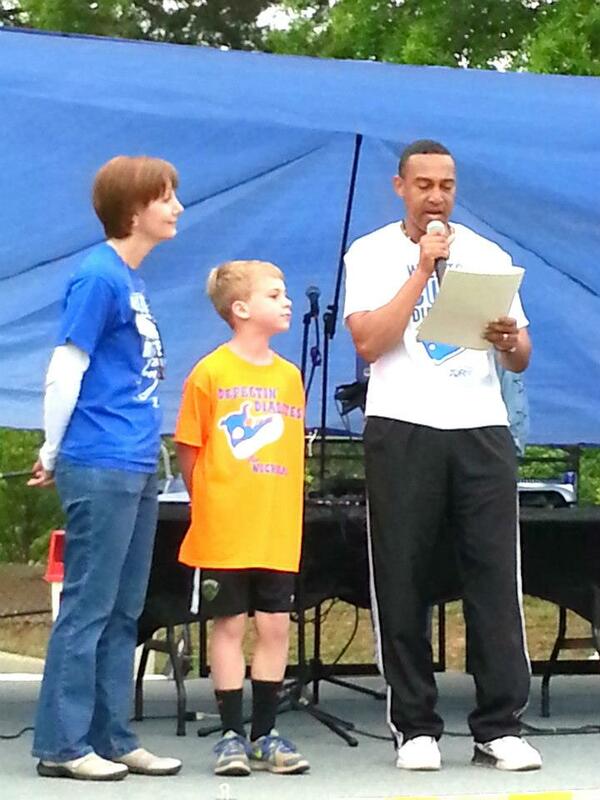 What really set this year’s walk apart from previous years was a special visit by Charlotte’s Mayor pro tem, Patrick Cannon, who carried a proclamation by Mayor Anthony Foxx recognizing the day and the JDRF for it’s efforts. The event is as colorful, vibrant and full of life as the attendees and participants that fill up the park’s Palladium Plaza. Brightly colored tractors and forklifts provided by sponsor Sunbelt Rentals hold up banners and signs directing Walkers towards registration and refreshment stands. These people are energized, focused, and most definitely determined. ‘Team B-Force’ is all adorned in matching blue t-shirts showing their support of Brady Sutton, a young, energetic boy diagnosed with T1D. Brady’s mother Anne, a staunch research advocate, has been here before and appreciates the camaraderie among the volunteers and the dedication they have to finding a cure. Another large group in neon green shirts are showing their support of ‘Andrew’s Quest’, and the orange group huddled by the stage are here for ‘Madison’s Motor Patrol’. After a heartfelt rendition of the Star Spangled Banner by another person who’s family has been affected by T1D, this crowd is ready to go walking! As one of the organizers, I don’t join in to walk the entire 5K route. Most of us stick around the plaza area assessing how smoothly the registration process was for folks, or how stocked the refreshment stands are for the when the walkers return. One of the tricky aspects for organizing JDRF events is remembering the special needs for all those in attendance; we are type one diabetics after all. The game of balancing blood sugar can be a gamble when combined with strenuous activity on a warm day. These prepared tables are stocked with healthy lettuce wraps, protein-filled granola bars and low sugar fruit juice, all provided by generous sponsors. Seeing all this effort; an entire amusement park at our disposal, the thousands of dollars in sponsorship donations, and not to mention the countless hours of preparation by the JDRF staff, really paints a picture of the scale these people are working on. 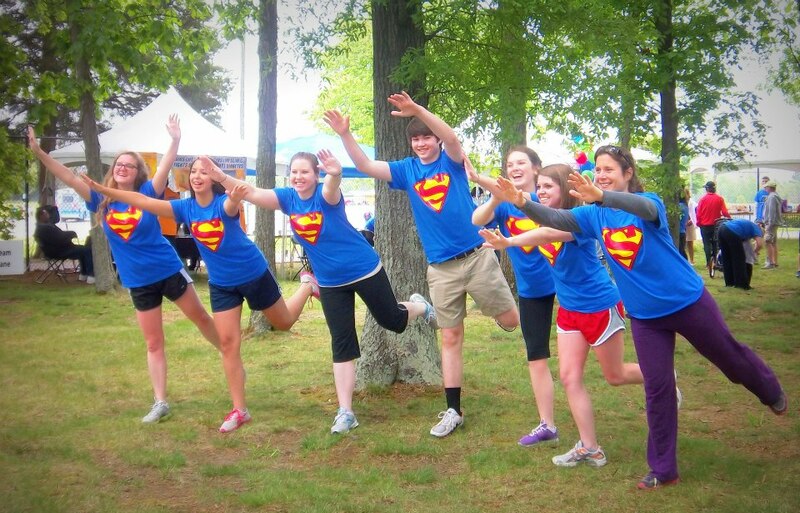 The JDRF was founded in 1970 and to date has raised more than $1.7 billion for diabetes research. More than 200 Walks are held each year in the U.S. and the Carowinds Walk is in it’s 23rd year. I am only in the 3rd year of what will be a lifelong partnership between me, the JDRF, and my new extended family. Today, we raised more than $800,000 for research. We didn’t quite reach our goal, however you would have never known judging by the faces of each and every walker as they crossed the finished line. And everyone had a memory-filled Saturday at Carowinds in the spring. Our “Walk Season” was still not over yet. On June 18th, we gathered once again at McGlohon Theatre for our annual meeting and awards celebration. As if this organization, in my mind, hadn’t already done enough, I received a Golden Sneaker Award for raising over $1,000 with my own Walk team, Ones N’ Noses. Now I have received many little league sports recognitions, maybe a perfect attendance certificate twice, but there is something special about the diabetes trophy given to me during the award banquet. It doesn’t remind me that my pancreas doesn’t work or it doesn’t remind when to check my sugar or take an insulin shot. But it lets me know that there are people out there that are trying. That there are people out there just like me. And that there is an organization out there that’s going make sure a lot of people have many more happy, springtime Saturdays at Carowinds.